Welcome to The French Door Store. 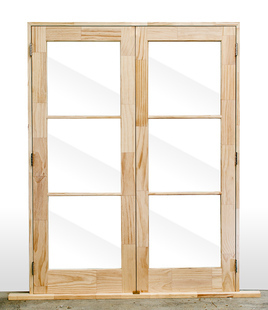 The Best Quality French Doors at the Best Prices! 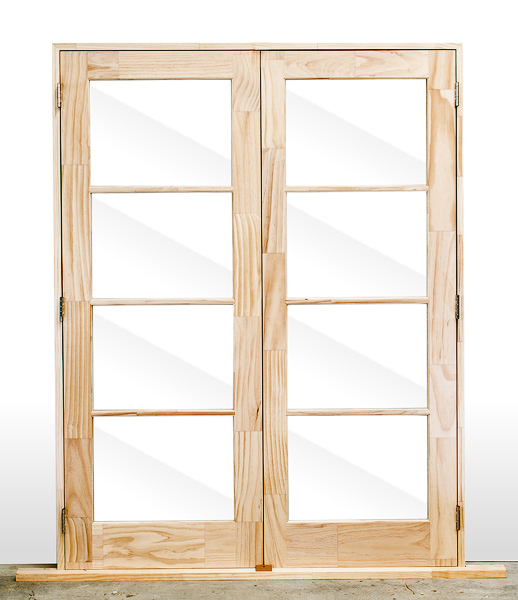 The French Door Store provides a wide range of top quality french doors, but our specialty is providing pine french doors that are a fraction of the cost of premium timbers, and yet when they're painted, look just as great! 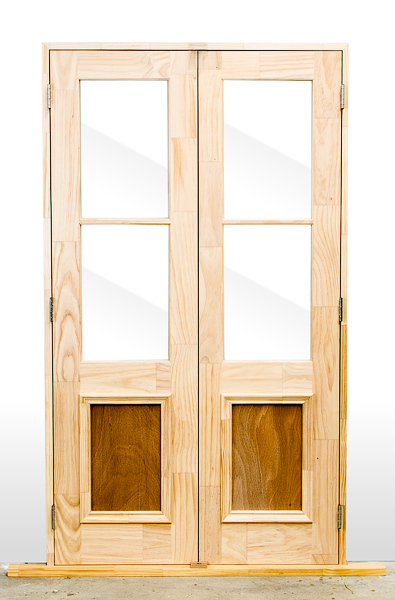 There's a lot of cheap and second-hand doors out there but the advantage of buying through The French Door Store is that you'll get the best quality for the best price; the doors themselves will not only look great, they'll keep you dry and warm from the elements and they'll stand the test of time. 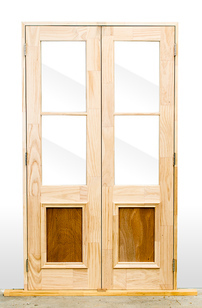 See our range of French doors below that you can order by contacting us and enquire about a quote on any made-to-order requirements. These doors are sold for sheltered external use. 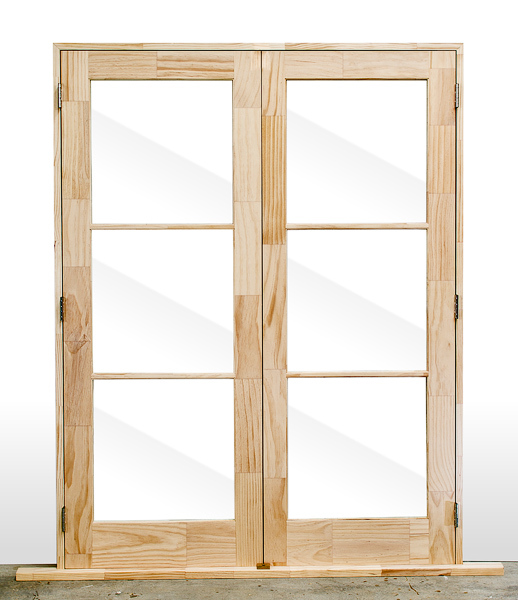 Standard door height is 1980, overall frames 2040. Price includes glazing and weather seals. 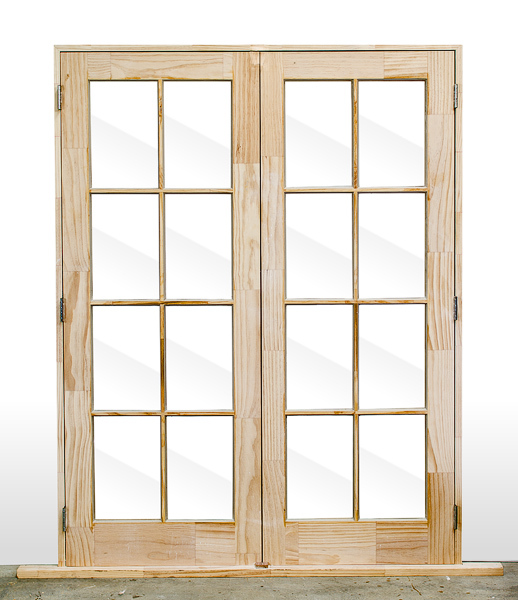 All glazing is bead glazed in silicone, except 8 Lite French doors, which are putty glazed. Frames do not include facings or architraves. Hinges are Stainless Steel 100mm broad butts. Brass can be fitted at extra cost. 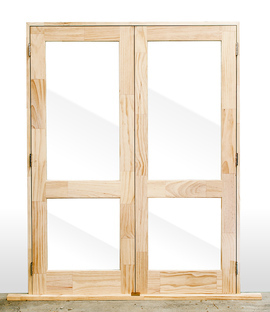 All doors and frames are exterior paint quality H3.2 Finger Jointed Pine. All doors are 760mm wide, overall frames 1570. 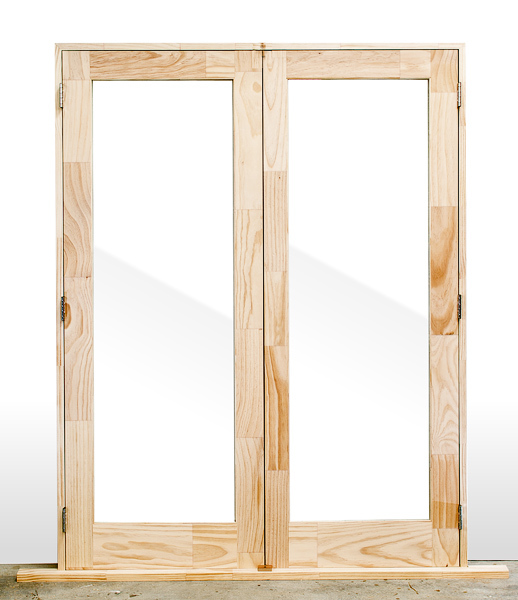 We also do Pine Thermowood doors with Rimu or Pine frames at extra cost. 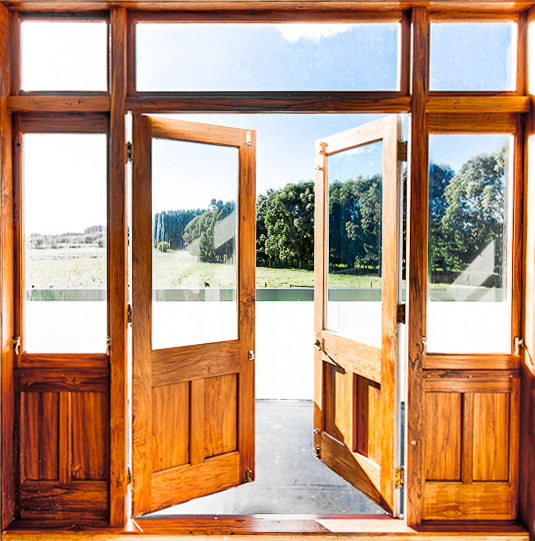 All doors are glazed to New Zealand Safety Standards. Jambs are all 142 mm wide. Additional sizes can be made to order. 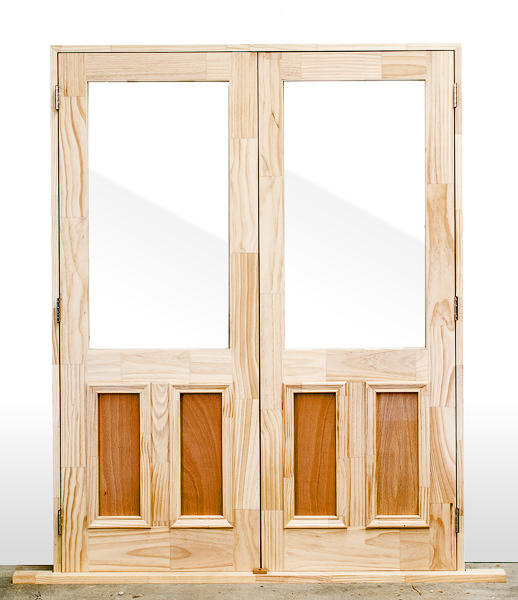 We recommend that a Qualified Tradesman install these doors. Facings can be put on at extra cost. Doors are for sheltered conditions and should not be painted in dark colours. Painting must be done prior to exposure to weather and must have 3 coats of oil based paint and should also be painted on the top and bottom as well as the rebates. We recommend you do not alter these doors in any way, unless by a Qualified Tradesman. ​All prices are exclusive of GST. Double glazing is also available, please feel free to ask when requesting a quote. We also offer a wide range of hardware for your convenience. We offer pre-priming at extra cost.